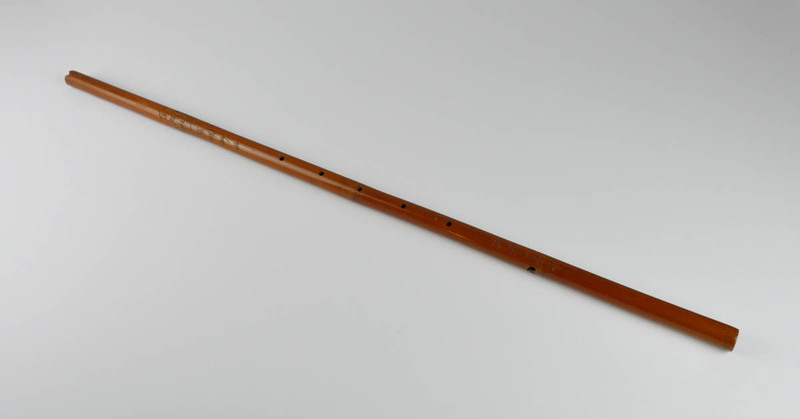 Bamboo flute (xiao) engraved with two inscriptions. A similar example is illustrated and commented in Gerard Tsang and Hugh Moss, Arts from the Scholar's Study, Hong Kong 1986, No. 2.